January felt like it was all about getting into the swing of things, and now that February has rolled around, it feels like it’s time to get down to business. Serious business. I can already feel that February is going to be about finishing things. I’ve got a lot of hard work ahead of me, but I’m excited to see what comes of it! 1. An inspirational sign at Alt. 2. My new business cards. 3. A sunny snow scene. P.S. 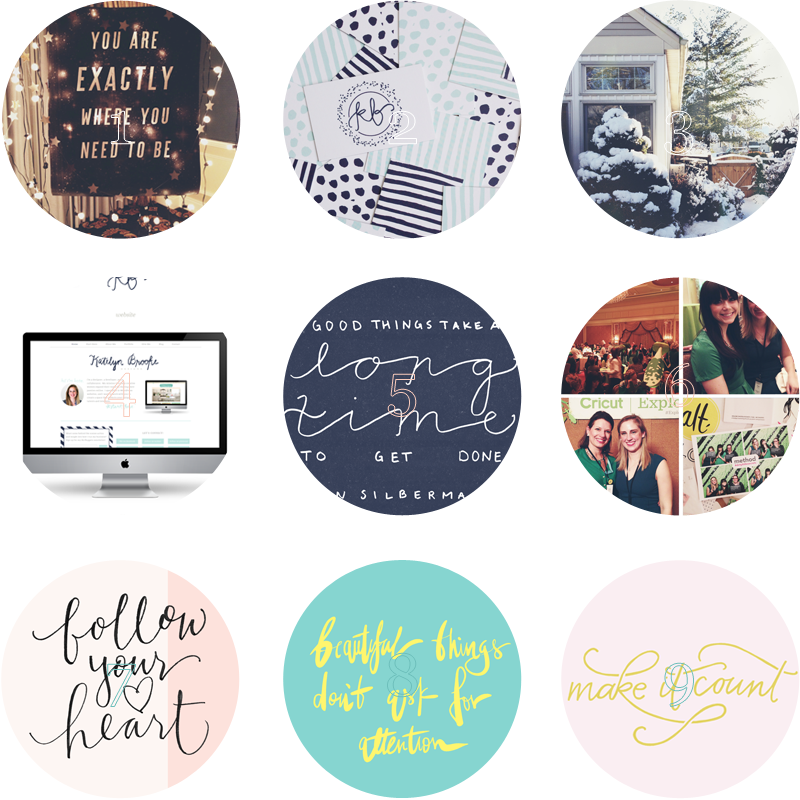 If you need more desktop freebies, I’ve got a whole board dedicated to that. How do you do your collages? Thank you for including my wallpaper, Kate! What a great roundup – and I’m loving your new site design! Loving your blog lately! Normally a silent reader but thought I’d pop in to say hi. The way you style your posts is awesome! Loving this roundup, especially the wallpaper round up. So many type-based wallpapers this month!